Excuses are instruments of the inadequate, and those who practice in them hardly go far. Giving justifications and reasons for every task will not help longer for the survival of any business or job. A person who is making excuses or delaying, will not be able to recognize the improvements needed to finish the tasks. Something we need to realize in every business that there are two things that are like water and oil. Those two things are excuses and money. Either we can make money or we can make excuses, but we cannot get both at the same time. We’ve all made the great excuses and stories to not to pursue anything. Excuses are usually made because we don’t feel like doing something — we’re emphasizing the negative. If we see the fun in something, the joy in it, we can maintain a positive attitude and avoid the excuses. 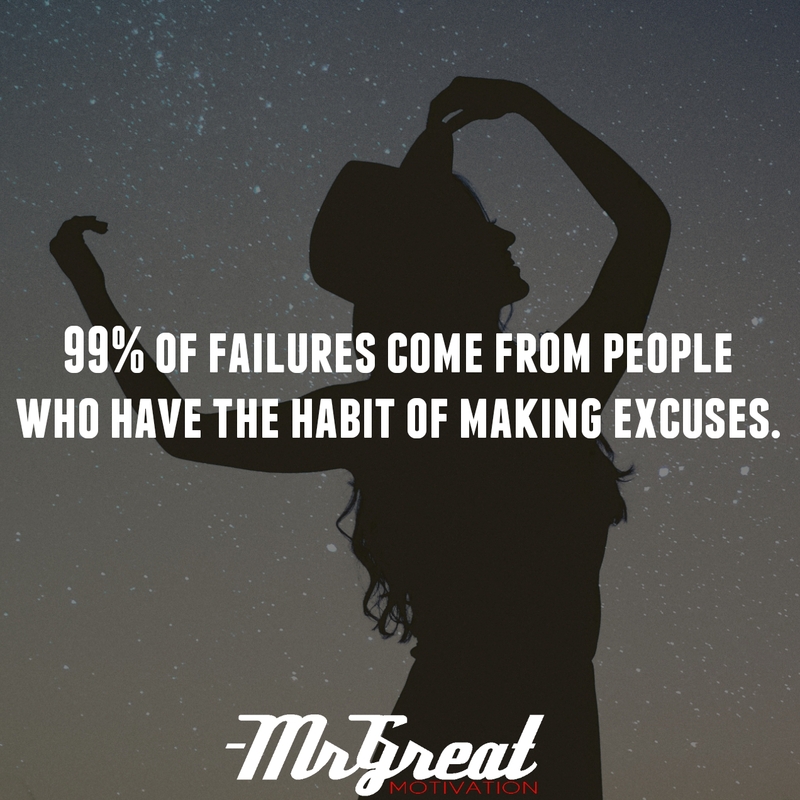 Excuses are ways to get out of owning up to something. If we don’t have the time, money, equipment, then it’s not our fault, right? It’s a myth. We shall take responsibility, and own the solution. Start today, by making small improvements in the necessary areas of your life, you will be amazed at your success!! Start discovering your goal. This is your motivation — your reason for doing it. If you think about why you really want to pursue a goal, you’ll be motivated. Visualize that goal and just get started.